Looking for local flowers for your event? Let us work with you to achieve your floral vision, whether it’s one bridal bouquet to all the event Flowers, there is an option for you. 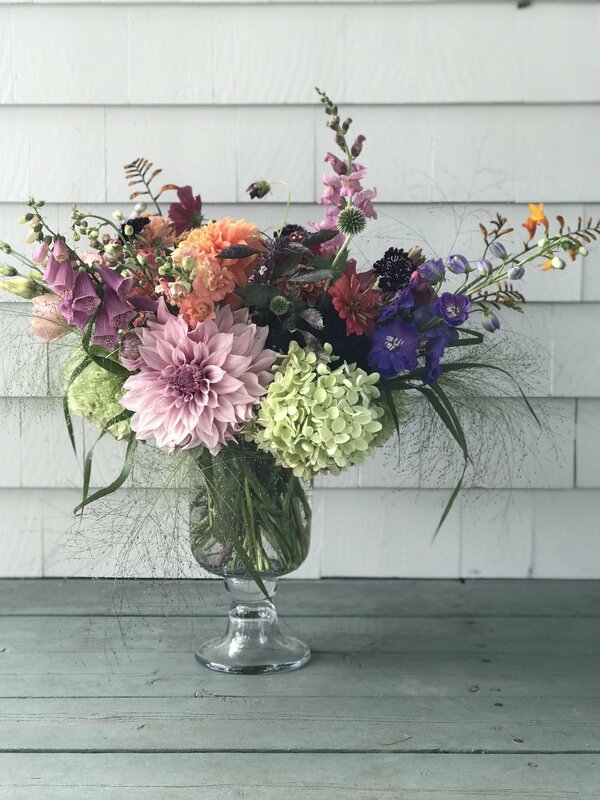 Our goal is always to provide you with the freshest, local and most sustainable blooms for your event and that most often means grown right here on our farm or if need be, at other nearby farms. The best place to start is often with a quick chat to get an initial sense for what you’re looking for and if Lazy Acres can meet your vision. There are several different options for event flowers from full design taking care of all of your floral needs to DIY buckets of blooms that allow you to take the reins. Or- somewhere in the middle with a little bit of design and some buckets too. Full Design - As you can imagine, this is a very customized approach and is very dependent on your vision. Please contact us to schedule a quick initial phone consultation. DIY Buckets - This is a great option if you are somewhat flexible as to which flowers you have for your event and have someone available to take the lead on the floral design. Most brides and grooms are simply too busy to also design their own wedding flowers - thus, having a friend or family member available to take the lead is key. The buckets are a coordinated assortment of focal flowers, greenery and special textures that work with your color palette. Each bucket will provide flowers for 5-7 narrow mouthed mason jars (depending on your designs) and costs $90. We’ll provide you with the flowers and then your imaginations are in charge! If either of the options (or a combination) sounds right for you, contact us for more information!